Hello blog, my long-lost friend. I haven’t posted here in a while. Though I’ve continued to post a monthly essay over at WU. I hope some of you have been reading over there. Maps have been on my mind lately. It’s been brought to my attention that none of my old maps are broad enough to encompass the area of my entire story. So last Saturday I dove in, and spent more time than I care to admit on a fantasy mapmaking website called Inkarnate, making the map you see here. It’s not complete, and it’s far from perfect, but since I have pretty much zero visual arts aptitude, I’m fairly pleased with it. The experience made me realize how much I love maps, and how much they have to do with my writing journey, so I wrote about it for my Writer Unboxed contribution this month. I hope you’ll stop by and read, and maybe even let me know how you feel about maps, book maps, and mapmaking. Thanks for reading and for your support. Wishing all of my American friends a blessed Thanksgiving! I hope you get a chance to stop by and read the essay, and maybe join the conversation. But in any case, know that every small act of kindness you offer your fellows this week has the potential of resonating impact. Be kind, and pass it on. First, An Admission: I’ll come clean up front. This is a review of a book for which I am a contributor. Is that weird? Hope not. In fairness, I’m one of fifty-four contributors. And fifty-plus of the others are best-selling authors, editors, teachers, or well-known publishing industry leaders, and no few are many of those things. Me? No, none of those (yet!). Yeah, I ended up in excellent company. How’d I get so lucky? (I pose the question rhetorically here, but the roots of my answer can actually be found in my essay in the book, Community Comfort). The Book Itself: I’ve said from the very beginning that there is nothing like this book available. Most writing and publishing books are fairly segmented and/or focused on a particular aspect of the writing journey, or on the business of publishing. The scope of Author In Progress (AIP) is uniquely unprecedented. It covers everything from one’s first ideas and tentative steps into writing fiction, all the way through being published, and beyond. AIP’s breakdown is easy to understand and follow. The parts are: Prepare; Write; Invite: Improve; Rewrite; Persevere; and Release. The segments beautifully correspond with the steps of most writing journeys (including mine), which allows one to home in on their own special interests and needs. But I must say, reading the book from front to back provides the best overview of the entire journey from conception to publication that I’ve seen. It’s one of those craft books you’ll want to keep close-to-hand in your work space. I’ve already reread certain essays that motivate or inspire me in a specific way. It’s very handy that way. I’ve read Writer Unboxed almost daily for about eight years now, and I’ve got to say—boy-oh-boy did the contributors step up for AIP. Every single essay is strong—among the strongest ever offered by each individual contributor. I have a few favorites, but I’m not going to single them out, because each reader will find their own favorites. And because they’re all so wonderful. At the time I’d read almost nothing about the craft of writing fiction or the publishing industry. When writers mentioned the need to rewrite, I honestly had no idea what they were talking about. Did they mean actually writing the same story all over again? I couldn’t imagine it then. I honestly had no idea what I was in for. And it was a struggle. I’m not just talking about finding my way to getting a manuscript in shape, and finding my way through the submissions process. It was a struggle coming to terms with everything that being an artist who wants to make their work public entails. It’s about so much more than the work itself, or the industry. It’s about you, the artist. Over the years, through all the sleepless nights, the days of allowing self-doubt to creep in and usurp my work time, I’ve often thought, “If only I’d known then what I know now.” I think the best gift AIP offers to someone new to writing is that knowledge—the awareness that you don’t just sit down and write till “The End,” send it in, and wait for the praise and paychecks to arrive. AIP demonstrates, better than any resource I know of, that the writer’s journey is more about the transformation of the writer than anything else. And I’m so pleased and proud to be a part of offering that gift to those just beginning the climb. Hail to the (Editor-In-) Chief: As I mentioned, for this review I’m an inside player. So I’d like to take advantage of my unique perspective, and take a moment to praise the one person whose creative vision, energy, and personal magnetism made AIP the wonderful resource that it is. I’ve often said that Writer Unboxed’s Editorial Director Therese Walsh is the sun in the WU universe. She drew each of us into her orbit, and she provides WU’s warmth and light. The importance of Therese’s vision for AIP, and her guidance to each of us, and her boundless energy in assembling it into a whole, cannot be discounted. I can only speak for my own experience, but T patiently guided me—through several complete do-overs, then to a transformed and polished version of my third or fourth concept—to what you see in the book. I’m guessing that others struggled less, but that her shepherding was critical to each and every one of us. Talk about a herculean effort! Therese has done more for writers than anyone I know, and it starts with her personal dedication to empowerment. WU is what it is because of her. And the same goes for Author In Progress. She has my eternal gratitude, and she deserves the gratitude of everyone who appreciates WU and/or this book. How Appropriate… that I should become a published author with this book. It’s so fitting. WU has made me who I am as a writer. And to be a part of that same journey for even one other writer is a privilege and an honor. In closing, as Mama T would say, Write On! Puppy Gidget’s first trip to the beach, she didn’t know whether to reach or dig, so she did both. I’m delighted to have another essay featured on Writer Unboxed today, and I’d love to have your input (here or there). I’ve recently been thinking about High Concept as it relates to the market versus exploring deep themes in my work. (I’ve been focused on the latter, hopefully not too much to the detriment of the former.) Can you think of favorite novels that would rightfully be called High Concept? I’m curious. Please stop by WU and see what it’s all about. Sorry, I see how long it’s been since I’ve posted here with any regularity. I’m still focused on my current rewrite. But I expect I’ll have a lot to explore once I reach “The End” of that project. Thanks for sticking with me! I do understand that it’s a busy week for most (particularly in the U.S.). In any case, thank you for your support. To my American friends, have a Happy Thanksgiving! Here’s to a safe and productive holiday season! Over the past few years I’ve frequently mentioned my fondness for the epic fantasies of Robin Hobb, both here and on WU, and via social media. Let’s face it, I’m a geeky, rabid fan. I not only enjoy Hobb’s books, I feel I’ve learned a great deal about writing fiction by reading her, particularly in regards to character development. So I consider her an inspiration; a mentor of sorts. 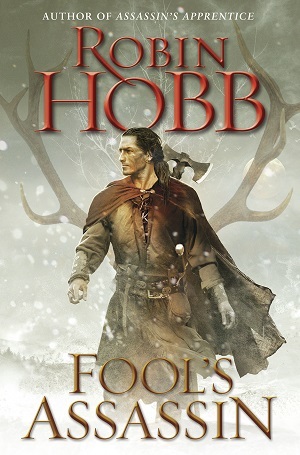 I’ve recently devoured her most recent release, Fool’s Quest, which is among over a dozen titles set in the same world and the eighth to feature Prince FitzChivalry Farseer and his dear friend and longtime companion known as the Fool (owing to the fact that he was literally a court jester when the pair met as boys). As I said, I appreciate many aspects of Hobb’s work, but reading this last novel reminded me of a powerful storytelling tool I particularly admire. It’s one you don’t often see utilized, but one I aspire to use in my own work. I’m talking about a complex character arc that unfolds over the course of a series of titles. Watching Fitz’s life unfold is so full of delights, I can hardly describe the full effect here. We are witness as the young man who starts off so impetuous, vengeful, and maddeningly unpredictable matures into a (mostly) reliable, loyal, and deeply reflective man; a former killer struggling to tame his demons as he strives for a life of honorable domesticity in a world made safe – in no small way – through his concealed efforts. I found so much of this eighth Fitz book moving and deeply satisfying. And I realized that it was because it was like watching someone I’d known all of their life finally coming into his own and receiving his just dues after long years of denial. In spite of a plethora of wrenching new developments, my heart swelled again and again in seeing Fitz gaining rightful recognition as a prince of the blood, the unheralded hero of the realm. It’s a sweeping effect that I feel would’ve been all but impossible in the course of a single novel, or even over a lone trilogy. I say I aspire to utilize this tool, hoping to create more satisfying characters though complex development over the course of a series. Of course the tricky part of that is not just selling the first book, but leaving readers wanting more. But my attempts to create multi-book character arcs go back to the very beginning of my writing endeavors. Hoping to continue to develop my characters over the course of several individual story arcs is one of the reasons I strive for a worthy first offering in my story world. I’ve already had a blast doing this, and several of my characters’ lives have unfolded in surprising ways; ways that are very gratifying to me. One character who particularly surprised me is a good example. Rohdric of the Amalus clan first appears in book one of my original trilogy as an antagonist. The nephew of a fallen Gothic conquering king, Rohdric is raised as a slave in the Roman world. As he comes of age, the elder Goth slaves aid Rohdric’s escape to their tribal homeland in the hopes of his raising an army of their kinsmen to ride against the imperials who enslave them. This puts him in direct conflict with the story’s protagonist, Thaedan (his cousin, son of the conquering king) who aspires to avoid his father’s murderous lifestyle and keep his people free from imperial conflict. As a y oung man, Rohdric is brash and bullying, conceited and unscrupulous. He considers himself the good guy, the only Amalus heir trying to do the right thing. By the end of book one, Rohdric has gained a following and breaks away from the Gothic nation to forge his own path. Along the way to personal glory he is humbled by defeat, and is severely injured. The wound is very apparent to others, and has an ongoing effect on him, both from a physiological and a psychological standpoint. After his defeat, he and his men change sides to become foederati (foreign fighters in the service of the Roman army). 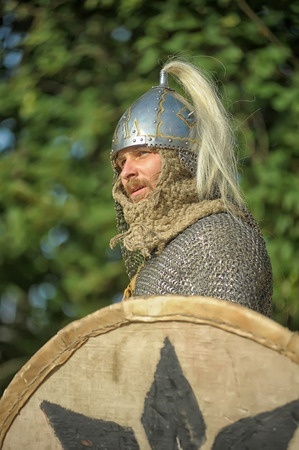 As a Roman soldier, Rohdric encounters racism and discrimination. Unfolding events force him to a renewed perspective of the injustice of slavery. Even as a former slave, slavery had simply been “the way of things” – unchangeable. What had been a selfishly personal vendetta (to free his kinsmen) becomes genuine compassion. Ultimately, he comes to understand the importance of belonging and of self-sacrifice; of friendship and loyalty; of love and honor. And that’s just his young adulthood! And it took three books to get that far. Makes me wonder what a long literary life like Fitz’s would hold in store for Rohdric of the Amalus. I love Lisa’s quote, offered up at the onset of a workshop she gave at the Writer Unboxed UnConference last year. It reminds me that the heart of every story is not the protagonist’s goal, nor is it the stuff that happens along the way. The heart of every story lies in how the characters change as a result of the stuff that happens and the achievement (or lack thereof) of the story goal. And of course, with a character who reappears in multiple editions of a series of stories, they will necessarily be changed many times, hopefully with a cumulative effect. With that in mind, and also keeping in mind I’ve yet to successfully sell such a series, I offer two pieces of advice to series writers wishing to feature (a) recurring character(s): First, be sure to have them change! And second, be sure to have them stay the same! Conflicted? I know I am. Hopefully your characters will be, too. Allow me to elaborate. *Have them change! And in each story. Even if they’re a secondary character. Start with the obvious. If the character is maturing, there will be physical changes. 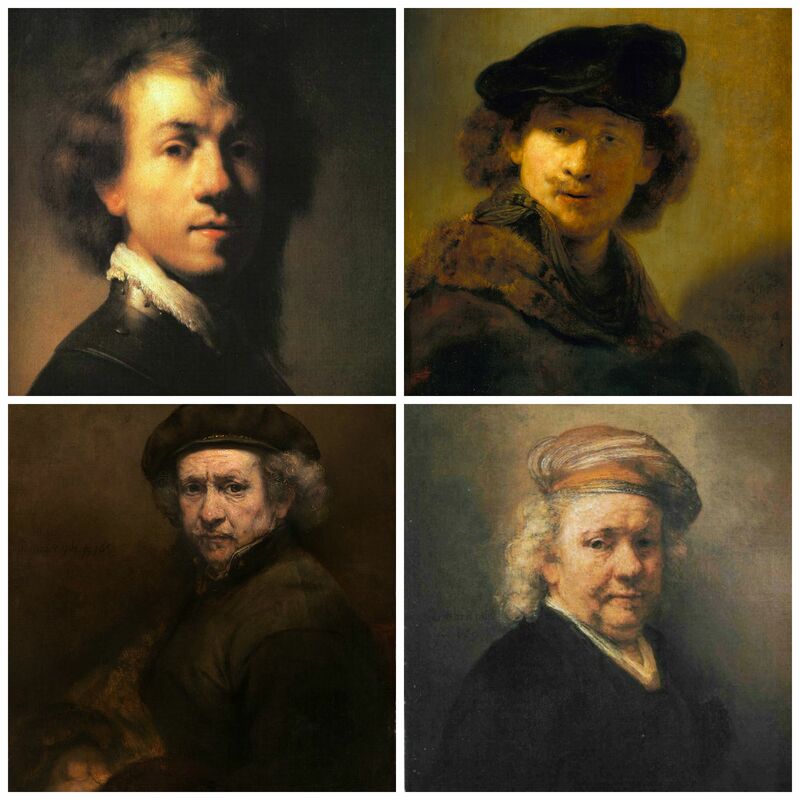 How they look as they age, for a start. But go deeper. This is an element that Hobb has mastered, and often it speaks to other changes in Fitz’s life. For example, even though he undergoes ongoing physical mending through a magic called Skill Healing, in the most recent trilogy he’s still become out of shape and out of practice from a martial perspective. He’s often sore and out of breath. Another example: one has only to think of Tyrion Lannister’s disfigured nose to think of how a visible wound can transform a character’s life. It’s an apparent and inescapable symbol both of his bravery in battle and his fall from grace. But of course we have to go beyond physical change. We must ask ourselves how what’s happened in each story has transformed our characters. After all, psychic scars can be as enduring as physical ones. In what ways have they grown more comfortable in their own skin? In what ways are they even more vulnerable? What fears have they conquered? What new fears have appeared since the last story? What old fears cannot be shaken? What shamefulness lingers, and how does it manifest itself moving forward? Who do they grieve? What do they regret? What about the past makes them proud, or content? How do they self-sabotage that contentedness? I’m sure that, depending on the nature of the character, you’ll come up with your own list of questions. Just be sure to delve deeply. *Have them stay the same! Have you ever reencountered someone you knew in prior life, say, at a dinner party, who seems completely different? It happens. They could look different, seem wiser, calmer—even have reversed a previous impassioned position. But more times than not, by the end of the dinner, their old stripes are showing through, aren’t they? Perhaps they’ve had a few drinks, and suddenly there’s a subtle jibe about a longstanding note of discord between you. Or they tell an unflattering story about you—one you could swear you promised one another you’d never share. How much have they really changed? How much is a new façade? At their core, some characteristics never change. Someone who’s prone to rage may have gained some mastery of their temper. But how often is their anger still there, simmering beneath the surface? Or have you ever met someone who lights up a room with good cheer? That light never seems to diminish, does it? And they seem to stay that way, even if you know them well enough to know the burdens they carry inside but don’t show to the world. We should ask ourselves not just how readers will recognize our recurring characters, but how they deeply know them. Based on a character’s history, what are readers waiting for them to do? Will the character’s new icy façade melt in empathy? Will their old explosiveness somehow ignite? Is newfound kindness a cover for their old scheming selfishness? In what ways are they still endearing? Or frustrating? What element of their past selves will we most ardently root for to reappear? How long can we tease and yet withhold that element? It’s important to know which aspects of your returning characters are unalterable. How do their core beliefs and fundamental characteristics come to bear on the changes you explored above? 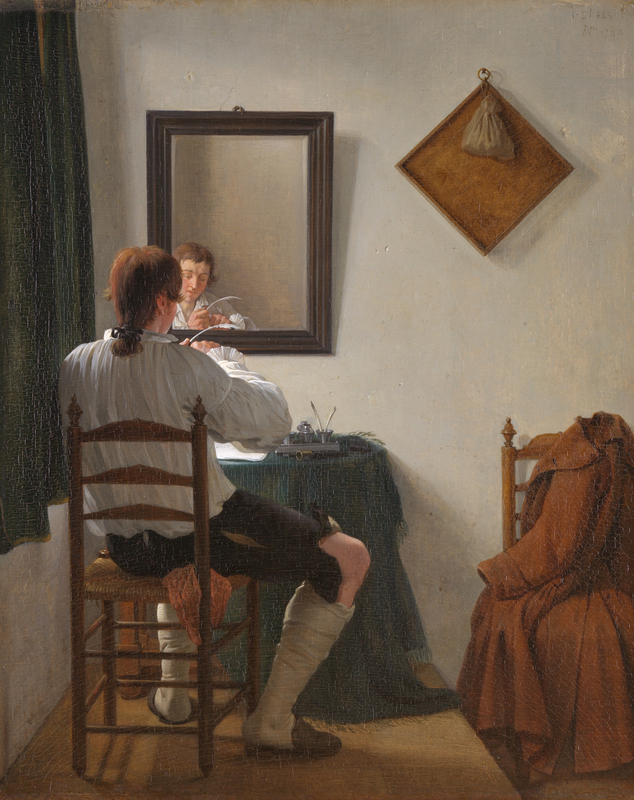 1 – a long poem, typically one derived from ancient oral tradition, narrating the deeds and adventures of heroic or legendary figures or the history of a nation. I admit, I’ve always been a bit frustrated by the confines of the marketplace’s definition of “novel length.” As a reader, I’ve always favored long books—stories that begin at a hero’s childhood and quite often encompass much of her or his life. I can see how such extended character explorations can still be viable, even in today’s market. 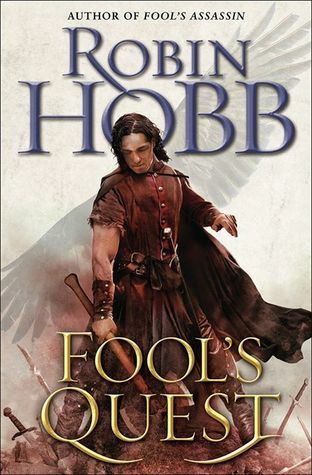 Through an extended series—one in which the previous trilogy appeared almost a decade ago—Robin Hobb has provided a brilliant pair of examples in Fitz and the Fool. I’m drawn to tell these kinds of stories. I want my work to extend beyond the usual or ordinary in scope. So I’m seeking to get it right. I patiently strive to prepare a worthy first offering—one that will lead to the chance to delve into my characters’ many transformative experiences. After all, I’m not just seeking to publish a story. I’m seeking a career as an epic fantasy author. And you? Do you have a favorite recurring character? Do you seek to write a series, or have you considered it?